20. 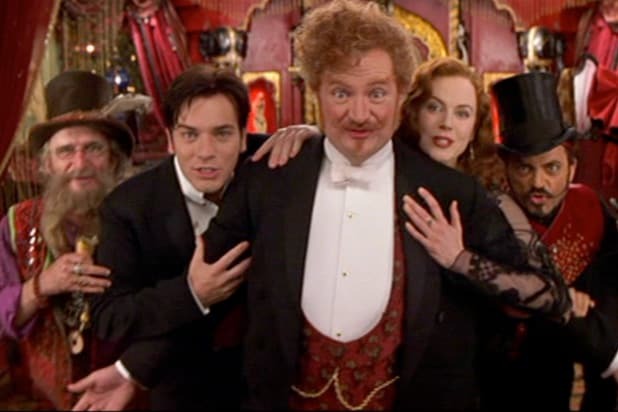 "Moulin Rouge!" (2001) - $57.3 million Baz Luhrmann didn't invent the jukebox musical, but his film's exuberant, garish mash-up of original songs with everything from Christina Aguilera to David Bowie to Rodgers & Hammerstein certainly helped popularize it for the 21st century. 19. 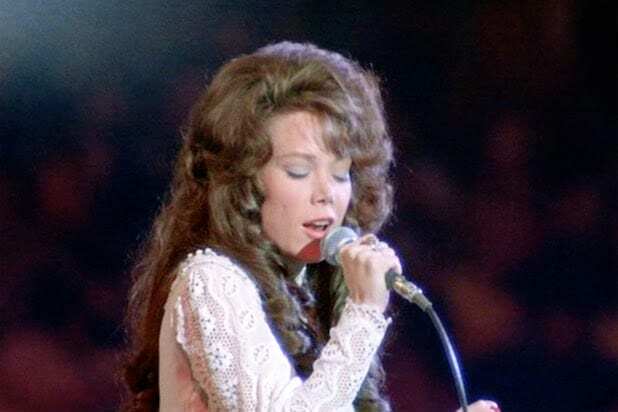 "Coal Miner's Daughter" (1980) - $67.1 million Sissy Spacek played the legendary country singer Loretta Lynn in Michael Apted's biopic that went on to be one of the Top 10 box office hits of 1980 and a Best Picture nominee. 18. "The Best Little Whorehouse in Texas" (1982) - $69.7 million Burt Reynolds and Dolly Parton starred in this adaptation of a stage hit about a sheriff fighting to keep a local brothel open after it's called out by a TV reporter. The film performed well enough at the box office to knock the long-running "E.T." from the No. 1 spot. 17. "Ray" (2004) - $75.3 million Jamie Foxx won an Oscar for capturing the mannerisms of Ray Charles on stage, and though Foxx can sing himself, all the songs are Charles' original vocals. 16. "Annie" (2014) - $85.9 million Instead of the freckled red head, the modern update to "Annie" starred "Beasts of the Southern Wild" star Quvenzhane Wallis in the lead role alongside Cameron Diaz and Jamie Foxx. 15. "The Muppets" (2011) - $88.6 million The Muppets had a big box office slump in the '90s and disappeared entirely in the 2000s. Jason Segel's musical helped make them relevant again. 14. "High School Musical 3: Senior Year" (2008) - $90.5 million The first two "High School Musical" films were such massive, surprise hit TV movies on the Disney Channel that they went all out for a theatrically released threequel that made over $90 million. 13. "Dreamgirls" (2006) - $103.3 million Jennifer Hudson won an Oscar for her work in this Broadway-based drama about a trio of female soul singers who rose to the top of the charts. The cast included Beyonce, Jamie Foxx, Eddie Murphy, Anika Noni Rose and Oscar winner Jennifer Hudson. 12. "Hairspray" (2007) - $118.8 million It's the film adaptation of the stage musical adaptation of John Waters' campy kitsch movie, and somehow, Adam Shankman's film not only turned out to be a hit, it was a joyous, colorful and fun experience that critics loved, even with John Travolta dressed in drag. 11. "Walk the Line" (2005) - $119.5 million Joaquin Phoenix and Reese Witherspoon star in this emotional biopic on the life of Johnny Cash and his wife June Carter. 10. "Enchanted" (2007) - $127.8 million The movie that made Amy Adams a star is finally getting a long-awaited sequel, the announced "Disenchanted." 9. "Into the Woods" (2014) - $128.0 million Meryl Streep and Chris Pine stole the show in Rob Marshall's adaptation of the Stephen Sondheim musical sending up classic fairy tales. 8. "Mamma Mia!" (2008) - $144.1 million The first "Mamma Mia!" film, an adaptation of the stage hit featuring the songs of ABBA, made a whopping $144 million, opening on the same weekend as "The Dark Knight." 7. "Les Misérables" (2012) - $148.8 million Tom Hooper followed up his Best Picture-winning "The King's Speech" with this lavish and dizzying musical that won Anne Hathaway an Oscar. He'll go back to the Broadway musical well for his next film, "Cats." 6. "La La Land" (2016) - $151.1 million The almost-Best Picture winner from Damien Chazelle was also runner-up as the highest grossing Best Picture nominee of 2016, falling behind "Hidden Figures." 5. "Chicago" (2002) - $170.6 million Rob Marshall's "Chicago" won six Oscars, including Best Picture, and helped launch the genre's revival on the big screen this century. 4. "The Greatest Showman" (2017) - $174.3 million Hugh Jackman's factually loose biopic about the life of P.T. Barnum and the formation of the circus catapulted to success on the heels of its Oscar-nominated song "This is Me" by the "La La Land" songwriters Benj Pasek and Justin Paul. 3. "Straight Outta Compton" (2015) - $161.1 million F. Gary Gray's biopic about N.W.A did a wonderful job making the legendary rap crew's music vital and timely and even balanced the three stories of Eazy-E, Ice Cube and Dr. Dre nicely. 2. 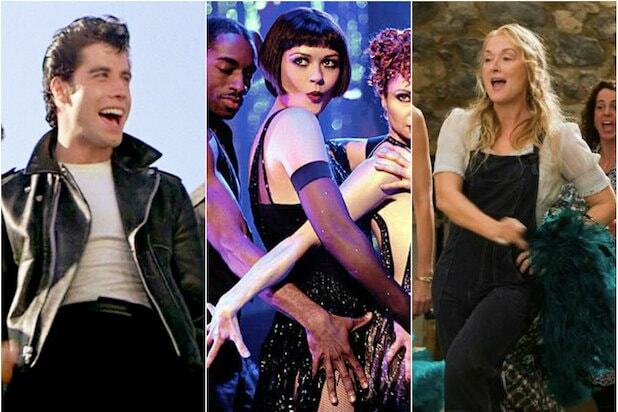 "Grease" (1978) - $188.7 million Though its box office total is inflated somewhat by a re-release, "Grease" still holds up not just as one of the best musicals of the last 40 years but also the most successful (certainly given inflation). 1. "Beauty and the Beast" (2017) - $504.0 million Disney struck gold with its live-action adaptation of the animated hit "Beauty and the Beast," lovingly re-created to minute detail by director Bill Condon with a cast led by Harry Potter alum Emma Watson.